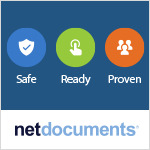 NetDocuments, the leading secure cloud-based content management platform for law firms and corporate legal and compliance departments, today announced the availability of live and publically available cloud service status pages across its U.S., European and Australian global regions. 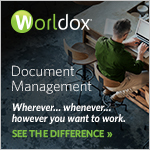 These new sites are the result of significant efforts to bring live, relevant information directly to NetDocuments customers regarding the health and performance of the global cloud platform. The service status pages are an integral part of NetDocuments’ ongoing effort to improve transparency and build user trust in its cloud services. Australian Service Status (au.netdocuments.com), can be viewed here. An internal analysis of 65 legal cloud content service providers revealed that only 39% maintain public service status pages, while 61% currently do not share their status via similar trust sites. For more information and related graphics about the NetDocuments status pages, please click here.